The Ecton copper mines were once some of the richest mines in the world. The site is now maintained by the Ecton Hill Field Studies Association (http://www.ectonhillfsa.org.uk/) with access being granted for educational purposes. 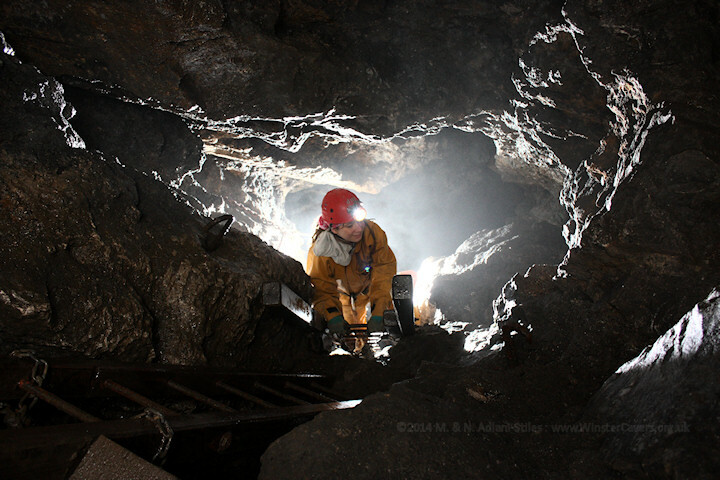 This series of photos was taken in Deep Ecton mine. The accessible part of Deep Ecton comprises two distinct levels, connected by deep mine shafts. A fixed ladder way installed in a stope allows passage from one level to the other.